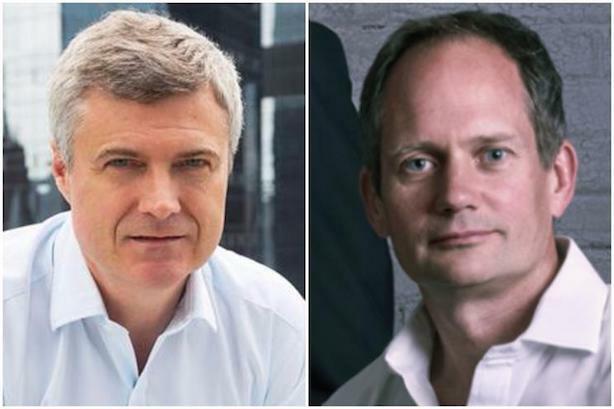 Mark Read and Andrew Scott, who have been named joint COOs of WPP after Martin Sorrell abruptly quit, know each other well. "[Read] will be responsible for clients, operating companies, and people," a spokesman said. "[Scott] will focus on financial and operational performance and implementing ongoing reorganization of the group’s portfolio." Their most pressing demands will be to communicate with staff, reassure major clients such as Ford, address investors, and keep the WPP show on the road amid a series of major pitches, including the defense of Shell and HSBC. "[Read] and [Scott] have always been a tight team," one WPP insider said. "I imagine it will be an easy working relationship." Read and Scott are British, have spent most of their careers at the company, and have studied at the French business school Insead. Both also had short spells in management consulting outside WPP – useful experience given the recent challenge from the likes of Accenture and Deloitte to the big ad agency groups and the evident need for WPP to undergo restructuring after its underperformance in the last 12 months. He has been the global chief executive of Wunderman since 2015, and he is widely considered to have done a good job turning around the digital agency. 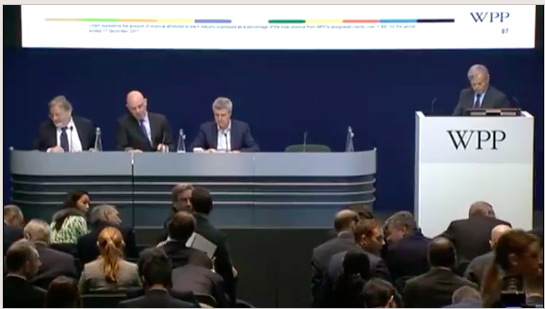 Read sat at Sorrell’s right hand at WPP’s most recent presentation to the financial sector in March (pictured above). He started his career at WPP fresh out of college, when he wrote to Sorrell in 1989 unprompted. Read knows how to work in a crisis. Within months of starting at the group, WPP’s share price crashed in the 1990-91 recession, and there was a debt-for-equity swap as Sorrell saved his company from collapse. He took a seven-year break in the second half of the 1990s when he tried consulting at Booz Allen Hamilton and ran an online startup, WebRewards, during the first dotcom boom, before returning in 2002. He told Campaign last year that his interests include wine and sking. Asked what he had learnt from Sorrell, he replied: "Never give up." Sorrell asked him at the time to "work with the leadership" of those agencies "to accelerate growth, enhance collaboration and drive the operating performance of our business in the region." Scott is listed in Companies House as a director on the boards of 90 companies, including many WPP subsidiaries and joint ventures such as AKQA, Finsbury Group, and The & Partnership. "Andrew is like Mark – very nice, decent, straight, and witty," one person who knows the pair said. Sorrell, who leaves at the age of 73, said in a farewell email to staff that Read and Scott are "a new generation of management" and "are well qualified and experienced in the board’s opinion, to deal with the geographic and technological opportunities and challenges our industry faces."